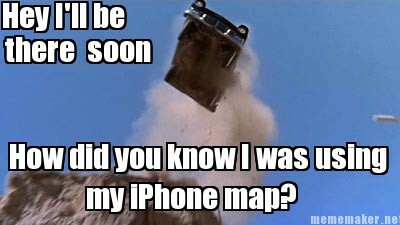 Everyone who ran out and copped a iPhone 5 has either experienced or heard about Apple’s horrendous 3D maps program, which the Cupertino Clan billed as its killer application for the next-gen smartphone. 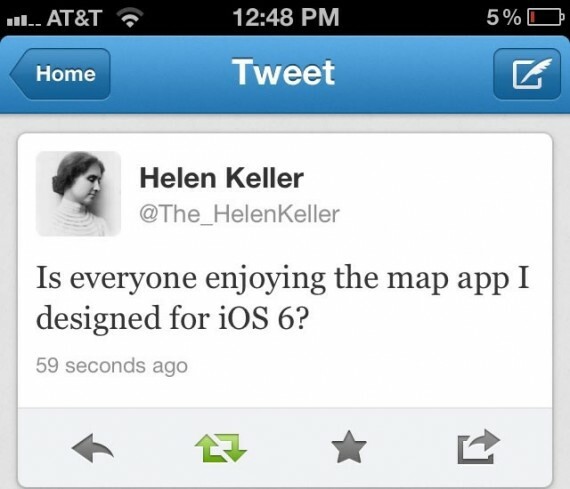 To call it a massive failure is belittling. 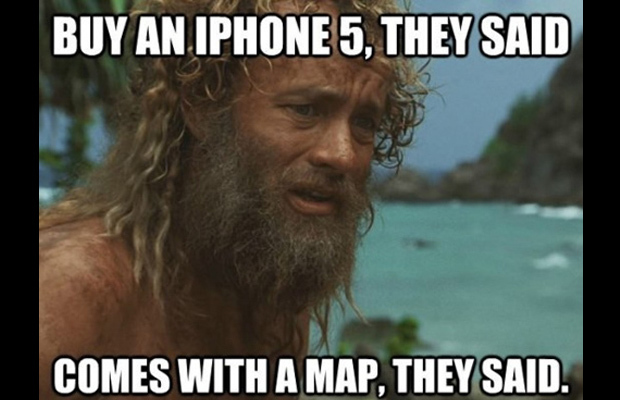 When the company’s CEO, Tim Cook, is issuing a public apology and saying all expectations “fell short”…what does that tell you? 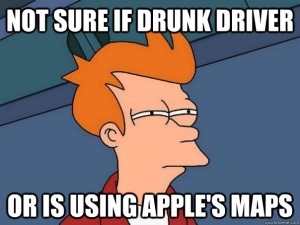 Exactly. 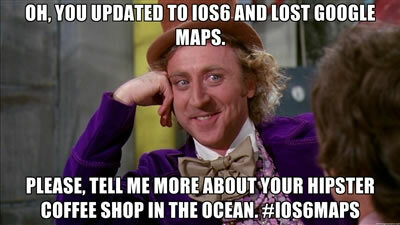 A number of comedians have already jumped on the meme bandwagon and initiated the virtual ribbing session that’s sure to spread like wildfire in the next coming weeks regarding the iOS 6 software. 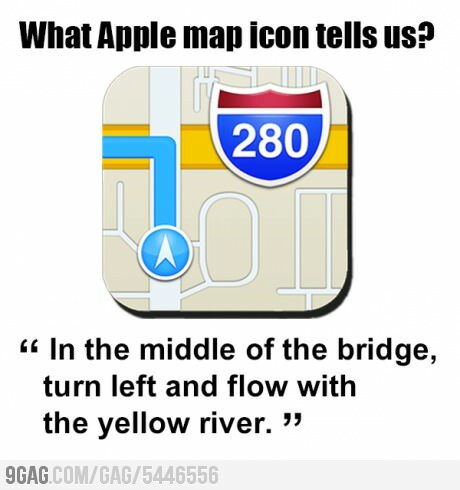 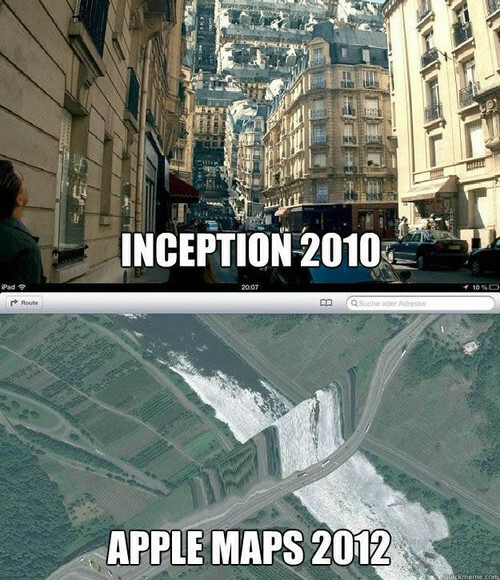 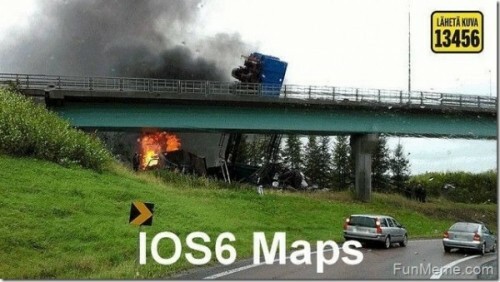 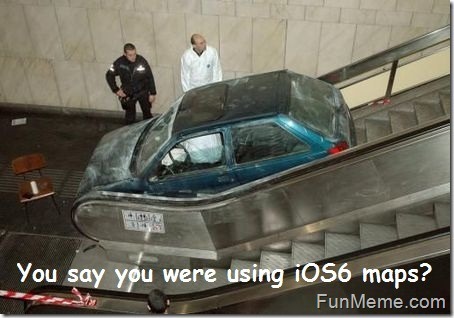 So for now we put together this collection of the 10 Funniest iPhone Maps Memes surfacing on the Web. 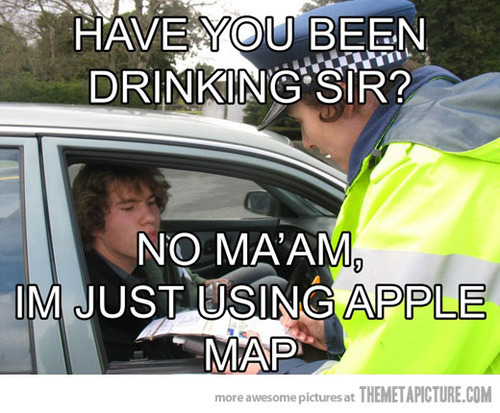 Join in on the laughs.